January 28, 2015. Lunga Lunga, an area of Viwandani, an informal settlement in Nairobi, Kenya. 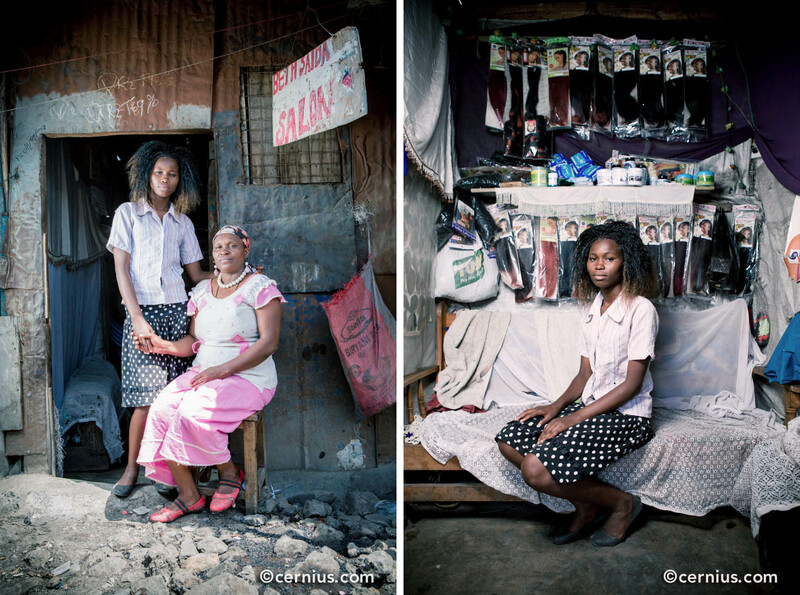 Lydia Kavata, 18, at her home, which also serves as a family business offering hair weaving and styling services. Lydia is also a member of teh "U-Tena" youth group, supported in part by JHPIEGO. Photo by Juozas Cernius.